When you think of a person getting hurt by falling, what scenario(s) immediately pop into your mind? Walking on ice, tripping over a rug, and broken concrete are just a few that came to mind. But have you ever thought about the dangers of patient falls inside a hospital? Recently, CMS (Medicare) released statistics on the number of occurrences of targeted Hospital Acquired Conditions(HAC) which they hope to eliminate through decreased reimbursement. 38.6% or 10,500 of the 27,173 reported HACs are under the Falls and Trauma Category making the rate more than 28 patients a day. The 10,500 count does not reflect all falls within a hospital. Those with lesser injuries such as abrasions(Scrapes), lacerations (cuts), and contusions(Bruises) are not counted in these statistics. Now that you know that falls do happen to hospital patients inside the hospital, you may be wondering what you can do to make it safer experience for a loved one. Here are some tips learned during my participation on a fall reduction team (measuring and analyzing for trends and improvements) for a large health system. 1. Stay with your family member as much as possible. Arrange shifts with other family members so the patient is not left unattended. Full coverage should include the night shift when more falls occur due to dark lighting and frequent bathroom trips. If you can't be there, ask for a patient sitter. 2. Use equipment that makes toileting easier. Don't hesitate to use bedside commodes or bed pans. 3. Call for help when needed. Use the call button if you need to get out of bed and a nurse or nurse assistant can help. 4. Wear hospital-issued skid-proof socks at all times. They help with providing traction on the smooth floor. 5. Call housekeeping immediately if the floor is wet for any reason. Get assistance via the call light if you need to move around the wet floor before it is cleaned up properly. 6. Light the hospital room. Turn on the light, even at night, so you can see where you are going. IV's and monitor lines make getting out of bed difficult. A lighted room will help you assess your environment and avoid obstacles. 7. Ask for a bed alarm. Most hospitals already use this technology if the patient is a known fall risk. 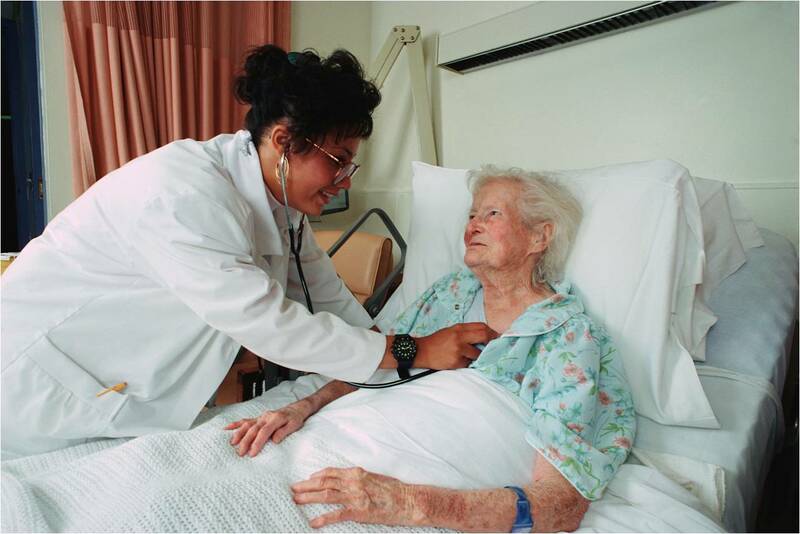 Many bed alarms allow you to program in a family member's voice reminding the patient to stay in the bed while a nurse or nurse attendant has been called. Using these tips could save your loved one from a devastating fall in the hospital. It is not convention for patients or their families to call 911 if a serious injury fall has occurred in the hospital. An internal investigation by the nurse, nurse manager, and quality department typically occurs. But what do you think would happen to the fall rate if police/fire were summoned for each of these 10,500 falls/injuries and took report?